Mason Jar Bathroom Organizer - DIY Style! 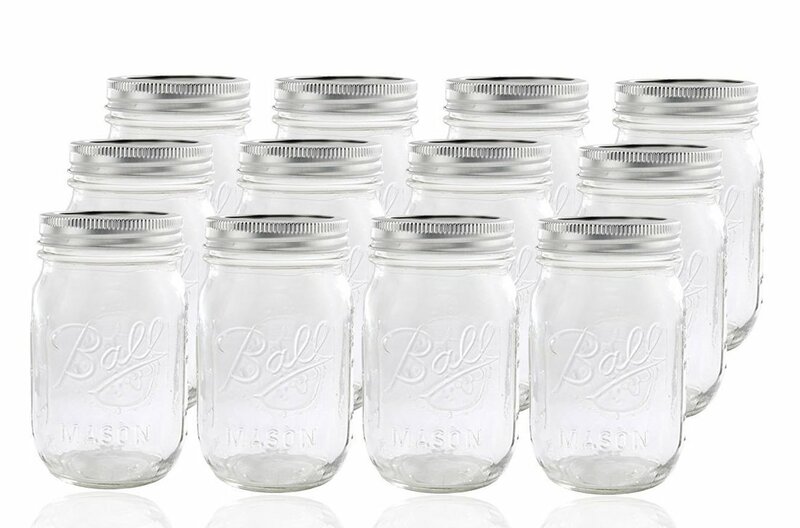 These jars are heavier and perfect for storage as they are often used for canning and pickling and able to take high heat, but they can also be used for many other things. You can do all kinds of mason jar crafts, everything from painting them to vases to glass ware, but in this case, they are perfect for the bathroom wall. Check out this video to see if this would suit your bathroom for extra storage space. If you are thinking, hey great I would love to make this mason jar organizer, but where do I find them? I have found many in garage sales, but you do have to make sure they are still in good shape. You don't have to have the lids unless you want them, but make sure there are no nicks or breaks in the glass. If you prefer to buy them new, you get quite a few here for your DIY mason jar organizers or for anything else you might need them for. If you do canning maybe treat yourself to some new supplies and recycle the older ones for your organizer. You could also use any kind of wood for the background, it could be beautifully finished wood or the rustic style with pallets. Many manufacturers will have pallets they would like to get rid of, so if you don't mind a bit of sanding this will work too. There are so many ways to personalize this setup. Just think of the things you can get off your counter or vanity and somewhere where you can reach it and see it front a center. If you want to add some more fun to this DIY project, you can tint the glass to add some color and make it look like a decorative element in your bathroom. Tint Your Jars for Added Fun and Brighten up a Bathroom! If you rent your home and need more storage and you just don't have the floor room, using the vertical walls is definitely an idea. You could also hang little baskets on the wood as well, but there is something really cool about these jars especially when tinted and if you use a dark stained piece of wood for them to attach to, they will really pop. When renting you are usually allowed to hang pictures, so just use the picture hangers on the back of the wood, but if you own your space and you want to hang a lot of jars, you could fix it right to the wall so that it won't move at all. There are so many ways to create storage in a bathroom no matter what the size, and so many cool products on the market such as the Pedestal Sink Vanity or the Over the Door or over the toilet area, even shower storage but having things separated and where you can see them is what makes these mason jars fun! How to Distress Mason Jars - Old World Look for Your Organizer! 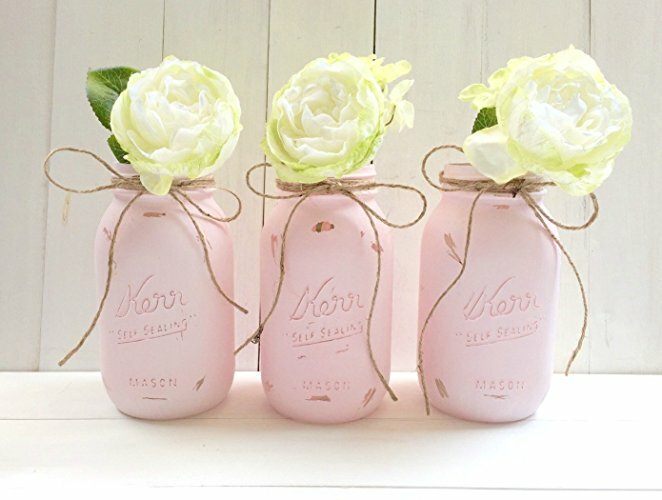 Mason Jar Bathroom Organizer or Vases! Using chalk paint, sand paper and sealing wax, you can totally change the look of your jars. This would be perfect if you don't want anyone to see what you store in the jars if you use them for an organizer, but they also have a different old world look. The sealing wax seals everything and then the buffing cloth buffs them to a sheen, it is best not to use glossy, but really this is your project so anything goes! 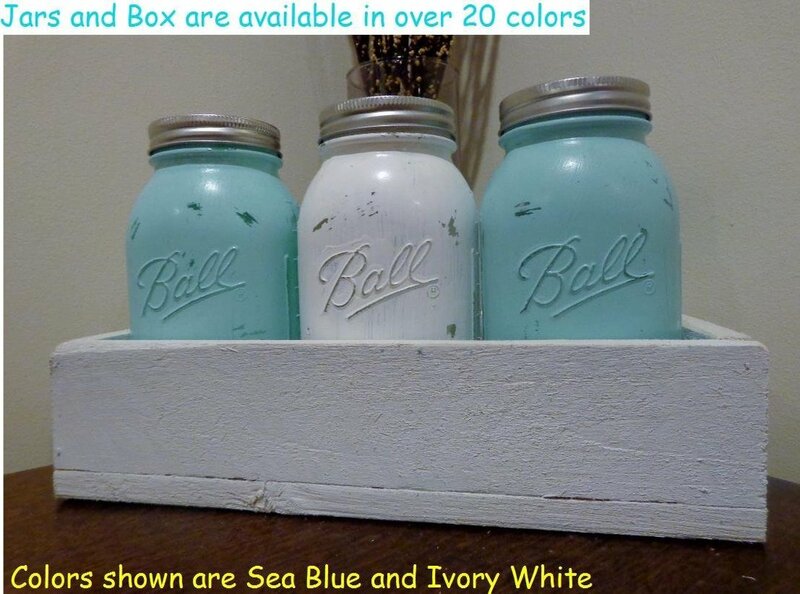 Click on any of the pictures to order these products that are used in the Chalk paint video. 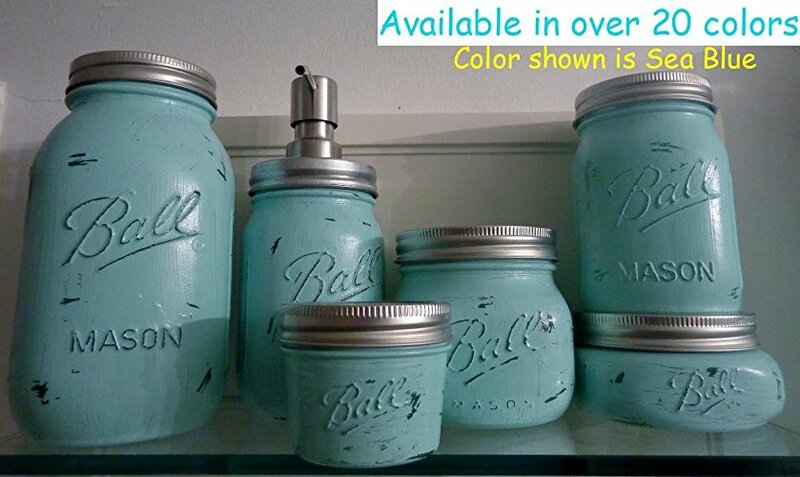 If you love the idea of distressed mason jars but really don't want to get into a DIY project, you can purchase them already painted online. These can add instant beauty to any room, but would look wonderful in a bathroom, especially for spring or to simply add some color. Ready to Go Mason Jars! 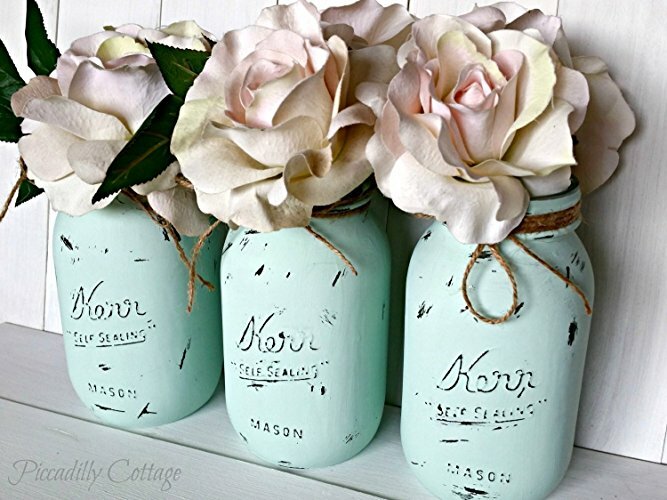 These jars are already painted and distressed and ready to use for any of your storage ideas. I hope I have inspired you to think outside the box when it comes to storage and see if you can't recycle something you have found in the second hand store, or reuse center or thrift store and make it into something gorgeous! If you prefer not hang your mason jars on the wall as the first project, you can get this beautiful setup online that comes with 3 painted jars and the rustic wooden box. This could sit on a shelf or even the back of the toilet for your bathroom storage.